Have you ever wanted to go through the Torah of Yahweh and pick out and list all the laws, commandments, statutes, judgments, words, testimonies, charge, covenant, etc.? Well, I finally finished doing it for myself in a convenient form that can be read, studied, and applied to my daily life. You are welcome to print off a copy for yourself to help you in your daily walk with our Heavenly Father Yahweh. The rabbis have a tradition that there are 613 commandments. This tradition comes from the Talmud where it notes that the Hebrew numerical value or gematria of the word Torah is 611. 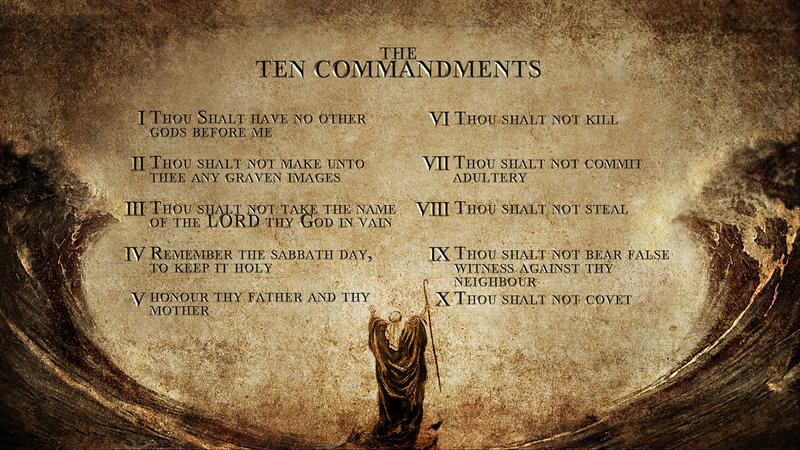 They say that if you take Moses’s 611 commandments and add it with the first two of the Ten Commandments which were the only ones heard directly from God, it adds up to 613. Many of the laws are repeated several times and so do not need to be counted more than once. If you do a count of the laws, not including the ones for the Levitical Priesthood, then you come up with much less than 613. Some of the laws overlap and are inclusive with other laws, so there are really less than 300. I have attempted to codify them in a simple convenient manner and have broken them down into 210. 75) Do not keep anything that belongs to your neighbor, but return it to your neighbor. 90) Only offer sacrifices to Yahweh at the Tabernacle. Don’t offer sacrifices to devils.